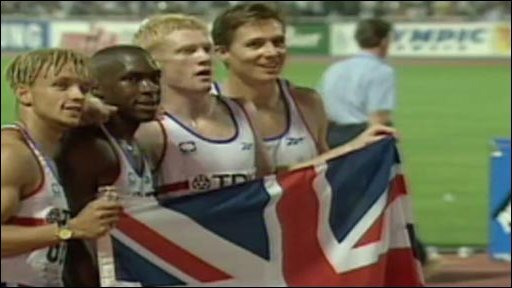 Great Britain's 1997 World Championship 4x400m relay team are to be awarded the gold medal they were beaten to by a team which included Antonio Pettigrew. 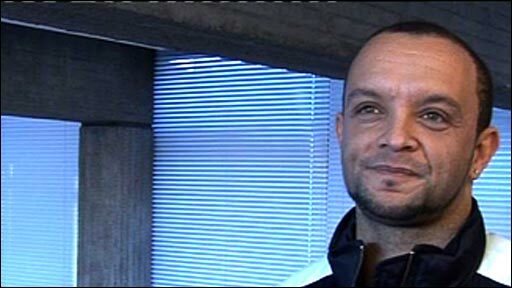 Pettigrew was part of the victorious United States team in Athens before he later admitted taking performance-enhancing drugs. The British quartet of Roger Black, Jamie Baulch, Iwan Thomas and Mark Richardson will now be honoured. A ceremony to award the new medals is being organised by UK Athletics. "We have had official notification that the medals are ours," said a UKA spokeswoman. 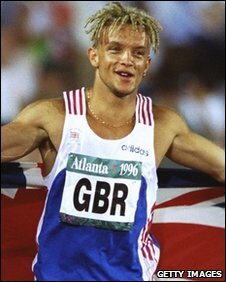 The British team - that also won silver at the 1996 Olympic Games in Atlanta - have campaigned to be rewarded with their gold medals ever since former Olympic champion Pettigrew told a court in 2008 that he had taken drugs. "The decision to strip Pettigrew of his medals was approved by the IAAF Council in late November 2008," confirmed an IAAF spokesman. "At that point efforts were made to recover the original medals. In the end not all were returned, so the IAAF decided to make a new set of medals." At the trial of coach Trevor Graham, Pettigrew testified to a San Francisco court that that Graham encouraged him to inject human growth hormone and EPO, both banned substances, from 1997. World athletics' governing body, the International Association of Athletics Federations, stripped the US team of Pettigrew, Chris Jones, Tyree Washington and Jerome Young of their 1997 World Championship title in November 2008. The Americans had edged out Britain by just 0.18 seconds in a thrilling final but after Pettigrew's admission, the IAAF stripped the United States - and now the organisation have confirmed they have commissioned the gold medals to be awarded to the British team. "I have missed out on 13 years of telling people I am a world champion," joked Welshman Baulch, who also won relay silver for Wales in the 2002 Commonwealth Games. "There is a little bit of bitterness that we were robbed of the gold. It is a bit of a disgrace as I missed an opportunity to celebrate in front of 100,000 people as the sport was at its peak, it was the golden days of athletics. "When you think of it and to put it into perspective, we ran four seconds faster than the current GB team ran last year - so that was how fast we were. "It is a bit sad that it has happened the way it has but that's the way the cards have been dealt to me - so you may see us in a medal ceremony in the next amount of months. "Your guess is as good as mine as to when we are to receive the medals as I don't know where the medals exactly are now." Pettigrew raced a phenomenal time of 43.2 seconds for the Americans in the second leg of the 1997 world relay final. "If you have a look at the race and it's a joke, he comes up the home straight like Speedy Gonzales," recalled Baulch. "You think: 'Hang on a second, how did you do that?' It's a joke."